GET SEEN ON ABC, NBC, CBS, FOX AND C-SUITE TV! Award-winning video producer & director Kevin Neff, would like to invite YOU to appear on his show, “Speaking of Success”™. As a television show host and producer, Kevin knows first hand the power of using media appearances to gain exposure and establish credibility for both you AND your business, and now is your opportunity to do just that! BECOME A FEATURED DESTINATION IN COASTAL VIRGINIA! 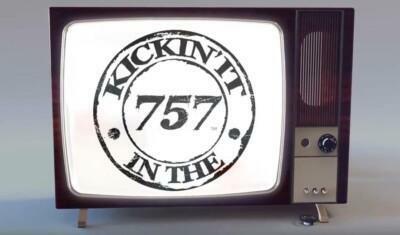 ‘Kickin’ It In the 757′ is THE resource to explore and experience new places to go and the things to know, for dining, entertainment, and lifestyle destinations in Coastal Virginia! Showcase your business, share your story, and grow your visibility via a feature length video segment produced by our international award-winning team. Our all-inclusive network allows consumers to visit and experience your business, anytime, anywhere…24/7!